Orange Crow International Pvt Ltd is on a massive expansion drive. 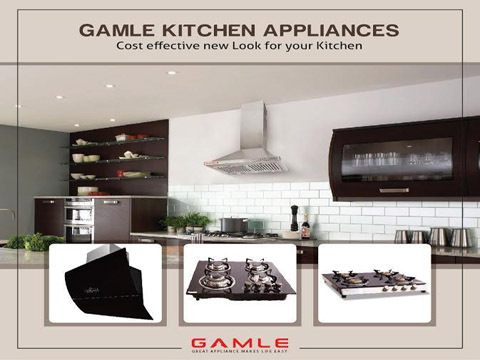 Having launched Gamle Kitchen Appliances recently, the company is set to strengthen its market share via franchise root. The brand deals in kitchen appliance segment which features designer range of cooktops, hobs, and electric chimneys. Gamle plans to open a chain of franchised stores which will be named as Gamle World, an experience centre that will have on display the choicest range of Gamle products. The company plans to open about 15 experience centres. These stores will be present pan India, in metropolitan cities. The first Gamle store will come up in Jaipur, and there are plans to have another one in Gurgaon. Sanjeev Dayal, Managing Director, Gamle Appliances said, "Our idea is to put an array of products in the store and let the consumer have an experience of the new designer range to make their life easier." Further, the company will be expanding its operations in all major metro and non-metro cities including Guwahati, Odisha, Hyderabad, Bengaluru, Rajasthan, Punjab, UP etc. Expanding its dealer distributor network, the company will increase its presence in all parts of India. Dayal added, "Our intent is to be present across India by the end of the year." He said, "We estimate the market size of kitchen appliance segment to be almost 650 -700 Crores consisting of Chimneys, hobs, built-in ovens/micros/dishwashers etc. However, in Gas Cook tops the total industry size in organized sector is assumed to be about 1000 Crores plus. The market in India is projected to grow at a CAGR of more than 25-30% during 2017-22. The demand for kitchen appliances is expected to grow on account of more disposable income, expanding base of middle class and affluent consumers who are fairly young and love to cook.